SIXTEEN YEARS AFTER Simon Tang was brutally beaten during a robbery in Carrickfergus, police in Northern Ireland have made a fresh appeal for information. The murder was the focus of a BBC Crimewatch programme earlier this week and detectives said they have received an “excellent response” since it aired. Officers received a number of calls, which they described as “valuable” following the broadcast. However, they have appealed for some callers to contact them again. They wish to speak to anyone who may have information about the woman who rang the Mater hospital the night Tang was attacked on 24 June 1996. The woman called the Accident and Emergency Unit at the Mater shortly after the 28-year-old businessman was admitted to ask about his condition. Investigators believe she knew the two men who assaulted Tang as he left his takeaway restaurant on the Woodburn Road. As he entered the rear car park of his business, Tang was struck in the head with such force that he suffered a heavy bleed on his brain, as well as a fractured skull. Despite being taken to hospital and undergoing surgery to remove the bleed, his condition deteriorated and he died the next morning. Tang’s wife Betty, now 42, appeared on the Crimewatch programme to speak about how her husband contacted her after the attack. Simon called me around 12.30am and told me he had been robbed. I said I would come down and see him now. When I saw him injured, I was very worried and it broke my heart. Tang studied architecture in Oxford University but returned to Northern Ireland to run the family business. Their two sons are now 19 and 16 years old. Tang was attacked by two youths who stole about £400 and his watch. In January, the PSNI said they were following new lines of inquiry. Detectives also want to speak with two men who were seen walking up Ellis Street towards the Good Future takeaway at midnight. “This was a racist attack on a decent man going about his lawful business. It robbed Simon Tang of his life and it deprived his family of the love and support they deserve,” said PSNI Detective Inspector Peter Montgomery. The PSNI have appealed to those callers with information about the woman to ring again. They can contact detectives on 028 90 700 727 or they can contact investigating officers on a mobile number 07585 228283. 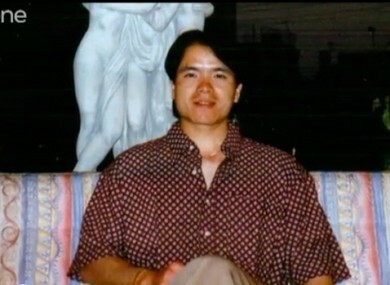 Email “Detectives get 'excellent response' after TV appeal over Simon Tang murder”. Feedback on “Detectives get 'excellent response' after TV appeal over Simon Tang murder”.